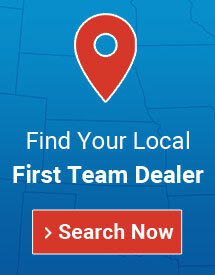 Volleyball Equipment and Accessories | First Team Inc.
First Team Sports, Inc. located in Hutchinson, KS manufactures a full line of outdoor and indoor volleyball equipment. Our volleyball product line includes competition level volleyball systems, volleyball nets, volleyball judges stands and padding. 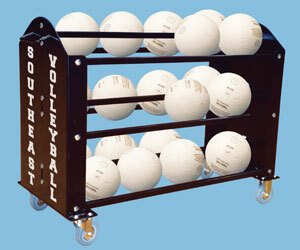 First Team also offers portable volleyball poles designed for competition and recreational use. 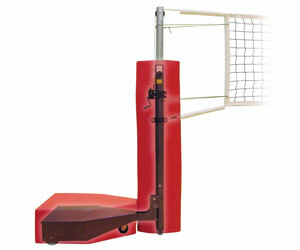 First Team is your best choice for a top quality portable volleyball system. 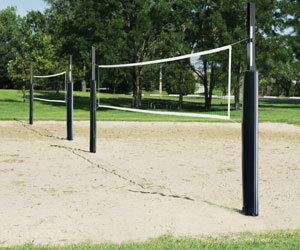 The outdoor volleyball poles and nets are among the best in the industry. First Team outdoor volleyball posts provide bowstring tight volleyball net performance and all weather durability. Our outdoor volleyball net systems are great for use in commercial park settings or as a backyard volleyball set. 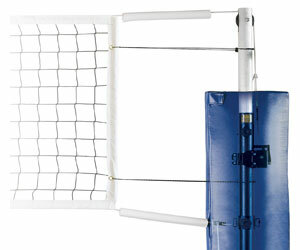 The volleyball nets can be adjusted up and down for all types of net games. So whether you are looking for competition level indoor volleyball poles or a great volleyball set for your backyard, First Team has it covered! Looking for a volleyball court diagram?